You can click here to read a conversation I had with musician Sarah Slean for the CBC music website. I haven't been updating this site very often lately - mostly because I've been working on the new book and I haven't been making many public appearances. But I'm always on Twitter, if you'd like to follow me there, or on Facebook. 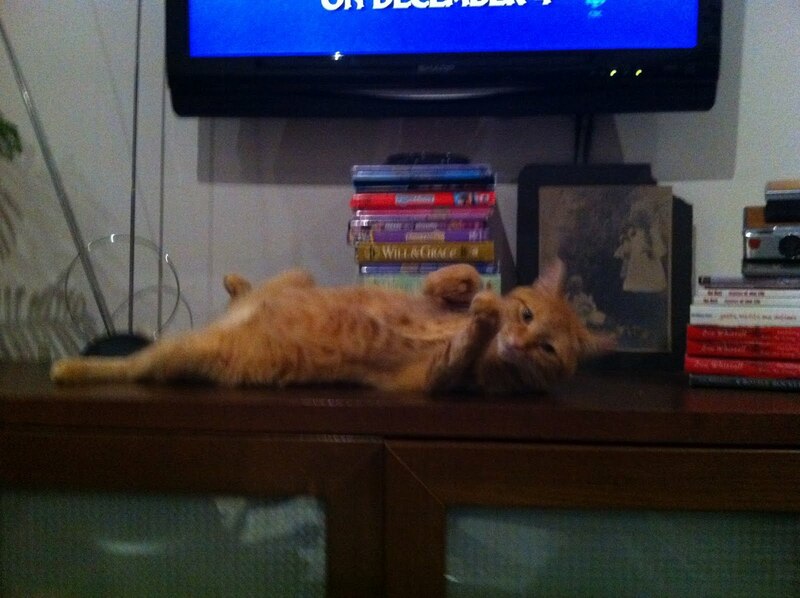 Here's a photo of what my cat does while we're watching Jeopardy.